A word of tree, a whisper of stone: Protect Uncontacted Tribes! In the entire world there are only several dozens of so called uncontacted peoples. Those are tribes or communities who are living their lives in almost complete isolation especially without contact with the outside modern civilization. Recently one of these tribes made it into the world news, when they forcefully defended their independence (unfortunately killing the willfully ignorant intruder). These peoples are survival experts. Boxing Day Tsunami in 2004 killed a quarter of a million people all around them yet they survived without any major problems. On the other hand they are vulnerable to the dangers coming to them from the outside human world in the form of prospectors, hunters, pillagers and unfortunately also Christian missionaries. Governments and anthropologists have very good reasons for protecting these uncontacted peoples. For instance, in their oral culture all the knowledge is being memorized and passed from generation to generation. If elders, carrying that information, die prematurely, almost an entire treasure of knowledge can be lost. If the chain of oral transmission is compromised, for instance if a concept of writing is introduced carelessly - substantial parts of the accumulated knowledge can be also lost forever. This is just one anthropological reason for protecting these peoples. There are other political, medical, linguistic but also biblical and theological reasons why they should be left alone as long as they want. And even after some of them express their desire to establish contacts, they should be further protected from abuse. It is well established that it is our obligation and in our own interest to keep and protect the beauty and diversity of nature, the life on our planet. That should certainly include in it the beauty and diversity of human languages, experiences and cultures. 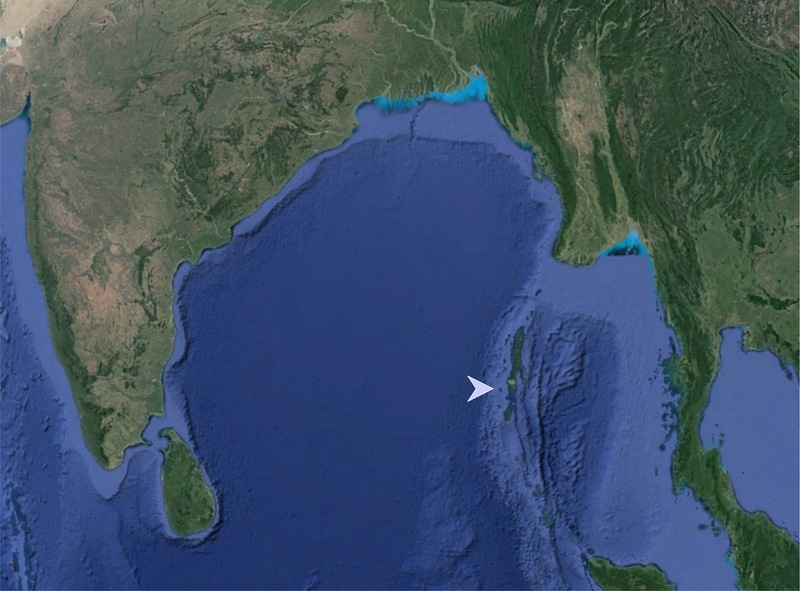 The Bay of Bengal with the North Sentinel Island indicated by an arrow. A small speck (roughly of the size of two Manhattans) next to the much larger Andaman Islands.